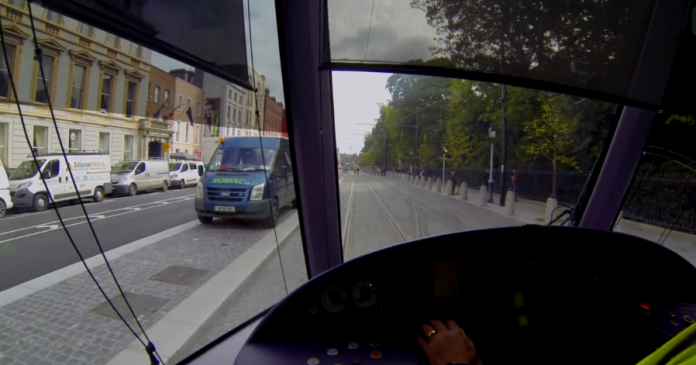 Dublin’s tram network has given customers a sneak peek of its new Cross City extension – weeks before it opens to the public. Construction of the Green line extension – which will see it connect to the network’s Red line – began in June 2013. Should plans go ahead as expected, the new 13-stop section will open in December with an interchange with the Red line at O’Connell Street stop. The project is one of the largest investments by the government. It will cost around €368 million. Current estimates put the projected passenger boost at 10 million per year once the extension is operational. Luas is operated by Transdev under a tender from Transport Infrastructure Ireland.